We are so excited to officially announce this year’s 2019 Applications International Users Conference in Chicago, Illinois. This event will take place at The Westin Michigan Avenue on July 23rd and 24th. The actual dates of the training and events will be July 23rd and July 24th. However, we understand many of you will want to come in the evening before so we will be having a reception for guests that come in on the 22nd and we will be having our Grand Client Appreciation Celebration on the evening of the 23rd. This year, the evening events will also be family friendly. We know that many of our clients do not get to take many road trips due to corporate budgets, and we appreciate you choosing our event to attend. This year our clients are encouraged to bring their significant others and even their age appropriate children to this event. Please note: there will not be official child care provided. Chicago is a fun, family friendly city, and Michigan Avenue is a true American destination. We are proud to host this event in the Mid-West for 2019, close to so many of our clients. Additionally, since we are not doing this in conjunction with the ASSP Expo, we have more space and more time. We will be doing a multilevel training experience, round-tables, discovery sessions, client seminars, and of course, road map. We will also have a special guest speaker from ASSP participating and we are very honored and excited to present you all with a world class Users Conference. We are excited to announce our upcoming group training session on the Report Center Module! We invite you to join us on Friday April 20th, 2018 to learn about building Reports and Charts, scheduling these for automated delivery, and sharing your custom built reports with your team! Please contact us if you have not received the calendar/meeting notice for this session. This group training session will be recorded and uploaded to your tutorials module item as a copy to reference going forward. If you are unable to attend and have any questions, feel free to reach out to AIC Support <aicsupport@appsint.com> and we are happy to schedule a one-on-one session with you and your team. 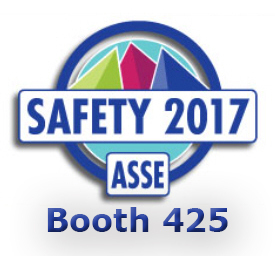 Visit the AIC Team at Safety 2017 in Denver, Colorado to learn more about our Enterprise Compliance Management and Reporting Solutions! safety, health, and environmental professionals at the forefront of safety. Discover new products and services – The New Product Showcase offers the latest in safety solutions. Stay relevant on industry trends – Keynote sessions provide insights on emerging safety challenges and solutions. Network on a global level – Networking events provide the opportunity to develop multi-national relationships with key industry leaders. Career advancement – Attend state-of-the art educational opportunities including; Technical Sessions, Workshops, Professional Development Seminars and more. Compare products for future purchase – Exhibiting companies will be showcasing the newest products and technology so you can compare the best solutions for your needs.